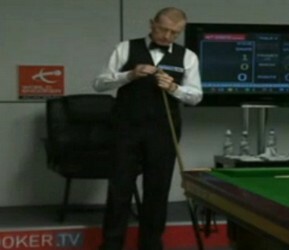 The two legends Steve Davis and Jimmy White will miss the first ever Haikou World Open in March this year. Similarly, they missed the previous ranking tournament Shanghai Masters last September. Ian McCulloch beaten six-time World Champion with breaks of 75, 74 and 56 while The Whirlwind is defeated by Sam Baird of the same scoreline with runs of 103, 85 and 71. Liam Highfield was unfortunate to be defeated in the decider despite his effort to level 4-4 from 2-4 behind Anthony Hamilton, who made 135 in the decider to secure his spot in the final qualifying round. 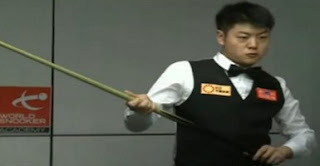 Chinese Liang Wenbo was another decider winner against Michael White, he require one more win against Mark King in the next round to play in his home country.